Design packaging for music CD and download ticket that creates visual brand to be applied across a suite of promotional materials. 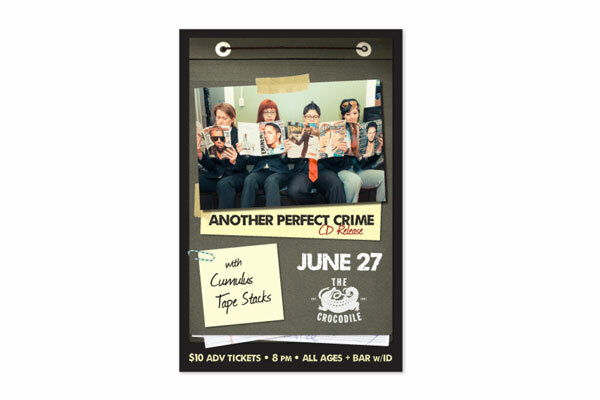 Another Perfect Crime desired a DIY, zine-style feel to the booklet that also captures the energy and playful joy the band delivers on stage. © 2019, Atomic Fox Design, LLC.